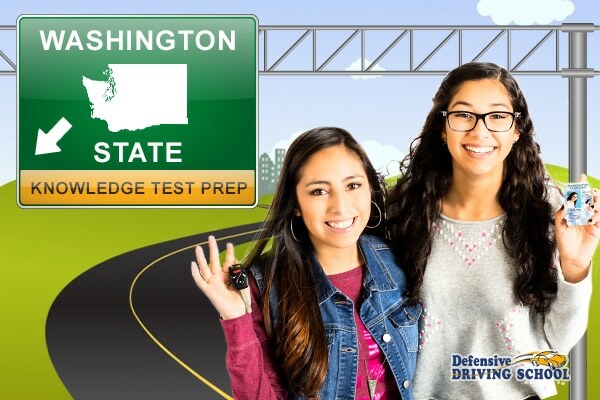 Pass the Washington State DOL Knowledge test the first time! This online course will teach you the rules of the road, driving best practices, and what to do when a school bus crosses your path. Each section will have a quiz to make sure you’re on track. After successful completion of this course, we are so confident that you’ll pass the DOL Knowledge Test on the first try that if by chance you don’t, we’ll let you take up to 5 more attempts on us at no extra cost (must purchase DOL Knowledge Test separately from us for $35 in addition to the DOL Knowledge Test Prep in order to get the additional free attempts). The 5 free attempts must be taken within 45 days of purchasing the course. The DOL Knowledge Test Prep course will have a separate login than your usual one for booking driving lessons or scheduling the DOL testing packages. Sign up for the prep course is in addition to registration for the DOL testing. Purchase the DOL Knowledge Test Prep for $19.95 below. After purchasing return to this page to the Test Prep Login to complete the training online. After completing the test prep you can purchase the DOL Knowledge Test here for $35 and take at any of our locations.